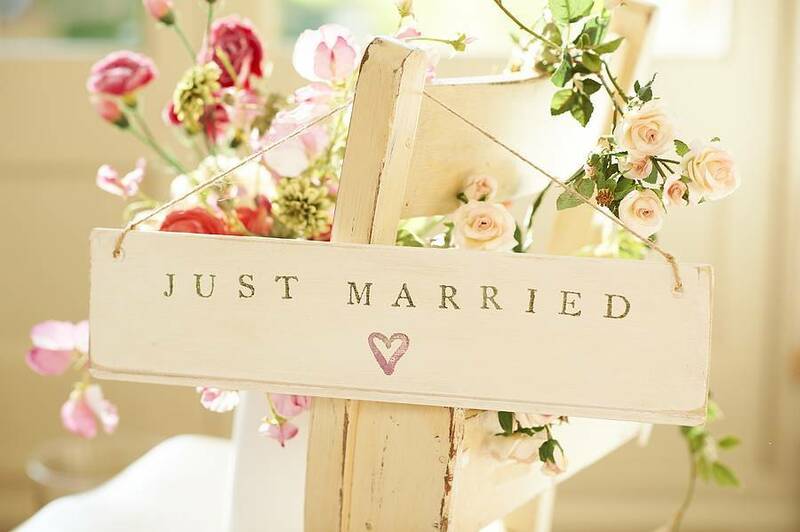 Your wedding day is special - one of the most important days of your life. Your day should be stress-free, happy and truly enjoyable. 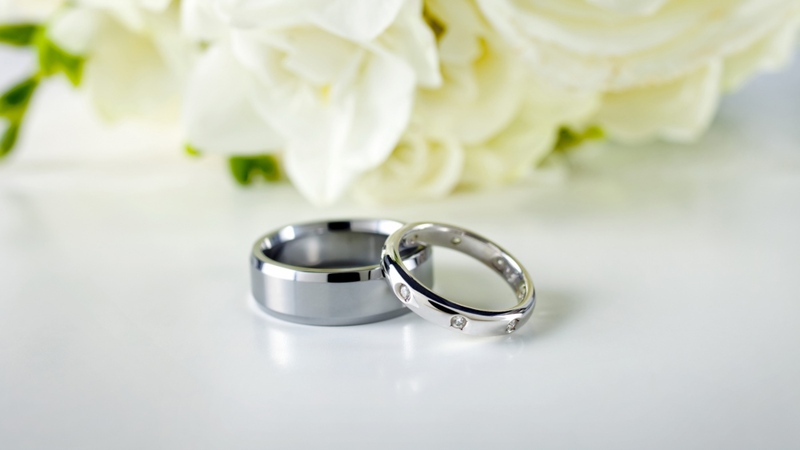 Let me take the worry of finding a Wedding Officiant off of your mind. If your county clerk does not perform marriage ceremonies - Call me. I have a passion for marriages; life-long unions that create the background for your journey through this life together. Follow my easy step guide for the perfect celebration of your Love! Big or small, Religious or not, elaborate or simple, your vows or mine provided, I will follow your wishes! 5. Show up and make some beautiful memories! "Welcome, Kimberley Wyatt-Roysdon, to the congregation of the Universal Life Church. As of 03/27/2012 you are now an ordained minister". 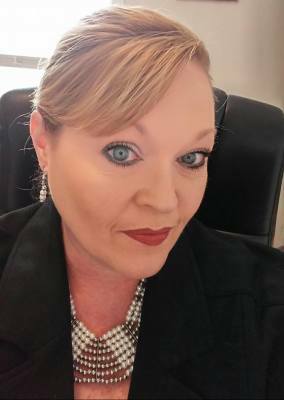 In most areas, officiants are asked to present official proof of legal ordination before being allowed to officiate a marriage ceremony - I am dually-certified and have the required credentials. The Universal Life Church & the American Marriage Ministies have made available every legal resource needed to fully exercise my Constitutional rights as an ordained minister. I am an ordained 'Wedding Officiant'. My ordination came out of a life-long interest in religion, and while in college (the second time around), I studied many different religions. I became very intrigued that deep down in the roots of (most) religions & spirituality, we pretty much all share the same basic values & beliefs. 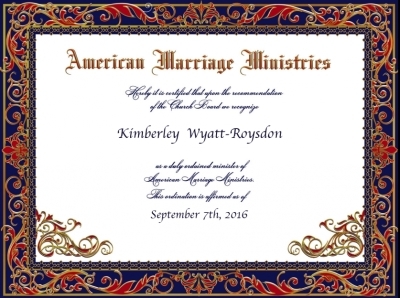 So I decided to become ordained and I am excited to offer my services to officiate weddings!